In the hidden object game Matchmaker: Joining Hearts, Helen Jones is a longtime veteran of love… not only is she happily married herself; she also managed to marry off five daughters and a son! And, after taking care of her youngest daughter’s love life she decided it’s time to retire and what place better to move to than a quiet seaside resort. Although initially Helen worries about how she will occupy herself she soon finds herself applying her matchmaking skills, helping everybody and anybody who’s looking for love. Whether it’s a 35 year-old archeologist who needs to decide between two suitors, or a gorgeous fortuneteller who appears to be able to tell everybody’s fortune, except her own! 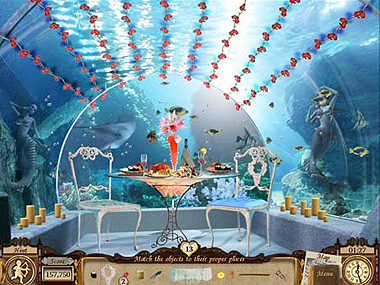 The game is divided into five different stages, each with unique hidden object scenes, plus a few mini-games thrown in to liven things up. Stage one is meeting with the client and understanding her/his needs and interests, which is basically an excuse for Helen to snoop around the client’s house a bit by matching the silhouettes of hidden objects in various rooms. Stage two is scoping out the potential candidates, paying them a visit to introduce herself and see for herself who they are, what they do for a living and what their hobbies are. This could be popping into a Photographers studio in the middle of a photo shoot or peeking around a Sea Captain’s boat while he is giving her a lift to the island. After Helen has done her homework it’s time for some real work! She must decide which candidate is more suitable for her client and the best way to do this is to throw you into a little mini-game where you get to compare between the candidates and the client’s hobbies and interests to see who is a better match. After all, what would be better than two people who both enjoy art, traveling and fine cuisine! Bearing in mind that Helen really does not take her job lightly, the next stage includes comparing between her favorite candidate and the client’s lifestyle. A true Matchmaker at heart, nothing stands between Helen and finding the perfect match for her client! Once Helen decides they really are a match made in heaven, she helps her clients prepare for their dates by creating a gift for their suitor, which means players get to embark on another fun hidden object adventure to look for pieces of the gift. And finally, the most anticipated stage of all: Date night! In this fifth and final stage you have to put various objects in their right place to make sure that everything, down to the bottle of champagne, the flowers on the table and the lighting is just right for that magical evening. Ah finally… true love! Can you spot it when you see it? Play Matchmaker: Joining Hearts and find out! 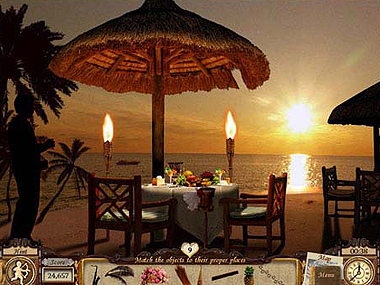 Help Helen match up 10 singles with the loves of their lives in this romantic hidden object game. Who knows, if you’re lucky, maybe Cupid will throw an arrow your way too! Download and play Matchmaker: Joining Hearts now for FREE! When are you going to eliminate the “Error 14″ problems that inhibit the ability to play most of your games? Liked it.. very challenging at the end. 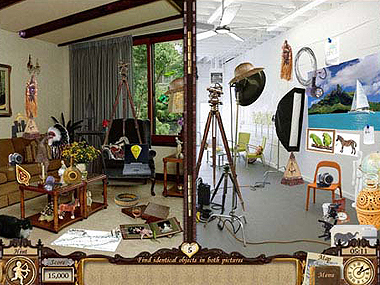 I like hidden object games so i will love to play this one thank you. I really enjoyed ththis game but I didn’t get to finish it. I love the game very much. Would like to have more just right it. 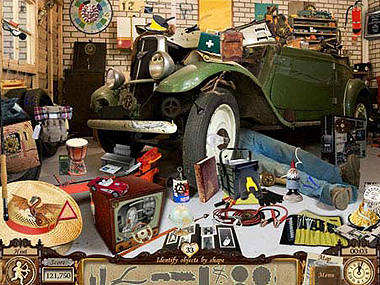 the hidden objects games are very fun and keep me doing something besides getting in to trouble!